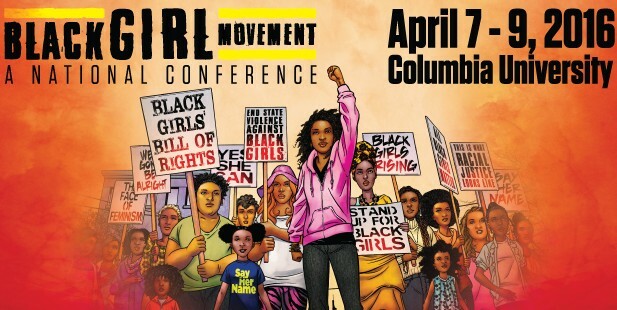 “Black Girl Movement: A National Conference” is a three-day gathering at Columbia University in New York City to focus on Black girls, cis, queer, and trans girls, in the United States. Bringing together artists, activists, educators, policymakers, and black girls leaders themselves, this first national conference on Black girls seeks to address the disadvantages that Black girls in the United States face, while creating the political will to publicly acknowledge their achievements, contributions, and leadership. Black girls are among the most significant cultural producers, community connectors, and trendsetters, rarely are their contributions recognized or appreciated. At best, they remain invisible in our public discourse or people assume that all Black girls are doing fine and are “resilient” enough to overcome any structural obstacles put in their way. Nevertheless, the vast majority of Black girls in the United States are in crisis. They face significant barriers to educational achievement, economic and political equality, and are the recipients of deeply embedded racial and gender biases in the media, public policy, philanthropy, and research. The Brotherhood/Sister Sol is a proud Co-Sponsor of this national conference. Learn more information about the “Black Girl Movement: A National Conference”. Watch Associate Executive Director Cidra M. Sebastien talk about the upcoming #BGM2016 Conference on BK LIVE with Brian Vines.